Unno-san, before you started working on Pokémon, were you a fan? Yes. I loved it so much that when Pokémon Gold Version and Pokémon Silver Version9 went on sale I lined up at about five in the morning. (laughs) Because of that personal affection, I had the opportunity to go and observe the Pokémon World Championships10 a few times. People from all kinds of countries gathered there;I was surprised at how they could exchange Pokémon without any trouble and play the Pokémon Trading Card Game, even though they didn’t speak each other’s languages. 9: Videogames released for the Nintendo Game Boy Color system in November 1999 in Japan. By appearing on the Game Boy Color system, it allowed Pokémon to appear in various colours for the first time. 10: An official tournament that determines who’s the best in the world of the Pokémon video games and Trading Card Game. Pokémon is a kind of common language for people from different countries who speak different languages. How many years has it been since the Pokémon World Championships began? They’ve been going on since 2009 and their forerunner, the Pokémon Card Game World Championships, started in 2004, so it’s been about eight years. Japanese people have stopped winning recently. The winners have been from America or the Netherlands lately, and not long ago it was a kid from Brazil. The Pokémon World Championships are a valuable occasion for confirming with our own eyes just how much has been accomplished as Pokémon spreads around the world. 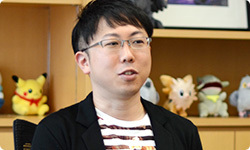 A long time ago, when Ishihara-san began localising Pokémon, he said that he thought it would be great to hold world championships and now that has come true! Yes! (laughs) Now almost 30 countries are participating. All kinds of languages are being spoken and like Unno-san said, even though everyone speaks in many different ways, somehow the conversation hangs together. And they don’t feel intimidated either. The players have a common interest and knowledge, so if they have a medium that resonates with both of them – even without being able to communicate through language – they will be on the same wavelength. That was incredibly striking, so I thought that in the future, Pokémon might become an even bigger global communication tool than it was then. We wanted to keep developing the communication feature called the Entralink11 that we put in Pokémon Black Version and Pokémon White Version even further. 11: The name of a wireless communicative feature in and . 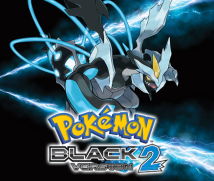 We put Entralink into Pokémon Black Version and Pokémon White Version, and we were able to pursue some features that hadn’t been there before – for instance, gameplay connecting to Pokémon Global Link12 and visiting someone else’s game. I think it was pretty experimental, though. 12: A website running parallel with and that players access via a computer over the Internet. There were things that had to be done for the first time, and some features may not have been fully realised. But I think that effort led toward a new, better form of play. Getting overeager and doing something new will eventually lead to that new element maturing. Taking a drastic step forward leads to whatever comes next. Now, interacting wirelessly in Pokémon is a matter of course, but I feel like when we suggested introducing a Game Boy Advance Wireless Adapter13 during development of Pokémon FireRed Version and Pokémon LeafGreen Version, pushing things over the edge during production led to what came afterwards. That seemingly-reckless effort with regard to some aspect of the game may be one important thing when it comes to Pokémon. 13: An accessory for the Nintendo Game Boy Advance system that made wireless multiplayer gaming possible. It first appeared bundled with and in January, 2004. Unno-san raised the theme of resonance. How did you get started with that? First, I had the whole staff think about what we could do with the theme of resonance. That was when the idea of Funfest Missions came up. The proposal said 100 people should be able to play through the Entralink, which really interested me. But wasn’t doing that quite difficult? Yes. There was a problem with time lags, but we wanted to place importance on how fun it would be if 100 people played. We thought the technology would follow along, so we set a goal and talked about what we could do to accomplish it – which may be why it went well. It would be difficult, physically, for 100 people to communicate in perfect synchronisation, but what was really important was that fun experience of resonance in the same area. Right. The person in charge of Mario Club Co., Ltd.14 must have been at a loss for words at the start (laughs), because he wouldn’t be able to do his work without gathering a bunch of people. 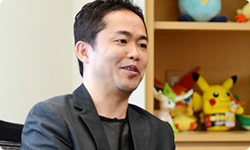 Masuda-san, what did you think when you heard about 100 people all communicating with one another? 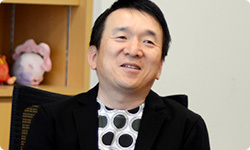 14: This company conducts debugging and testing on Nintendo software during development. I thought they must be joking. (laughs) What bothered me the most was debugging, but I did think there was value in trying it out as one possibility for multi-person play. Excluding online games, I’ve experienced multiplayer handheld games for about eight or 16 people. What did you discover in raising that to 100? When there are lots of people, they all encounter the same special situations at the same time. With four people, there are fewer moments when special things occur, but with 100 people something is always happening to somebody, so it may be easier to convey a special excitement and energy. Yes, that’s why it feels like a festival! I hope lots of people have that mysterious experience. Please, gather 100 people and make 100 friends!